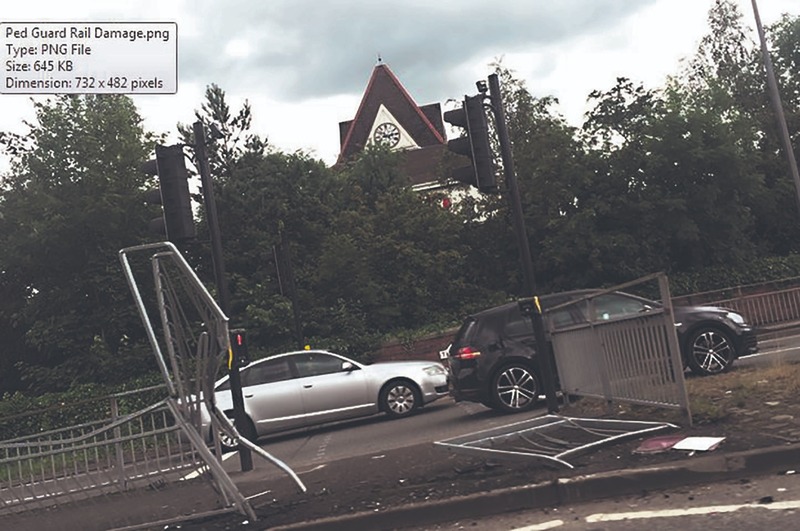 PEOPLE who witness damage to road signs, street furniture and lampposts are being urged to help Cheshire East Council catch up with those responsible and recover the costs. Since 2011, the council has pursued claims worth more than £3million to cover the cost of repairs. However, it says some incidents go undetected. Cheshire East highways' Twitter campaign is encouraging people who witness damage as a result of a road traffic collision or other incident, to report it and provide whatever information they can. The council says useful information includes the vehicle involved and its registration number and any photographs, including the damage caused. Don Stockton, Cheshire East cabinet member for environment, said: "Incidents can happen at any time of the day or night and, if the driver suspects they have not been spotted and if the police are not involved, they can be tempted to drive off. "Repairing road signs, bridges, bollards and lighting columns across the borough, places a significant cost on the highways budget. "We also have to repair road surfaces following spillages of oil or contaminated waste and remove or replace damaged trees. "We are no different to any other highways authority faced with trying to reclaim the costs of damaged assets. "However, we believe with social media and our policy of involving stakeholders and partners when incidents have occurred, we have brought about a rise in recovering costs, either directly from the person responsible or through their insurance company." The council's 'green claims team' is responsible for pursuing claims. They can be contacted via Twitter @CEChighways or by phoning 0300 123 5020. To report a highways issue in Cheshire East visit: www.cheshireeasthighways.org/report-it-general.aspx.